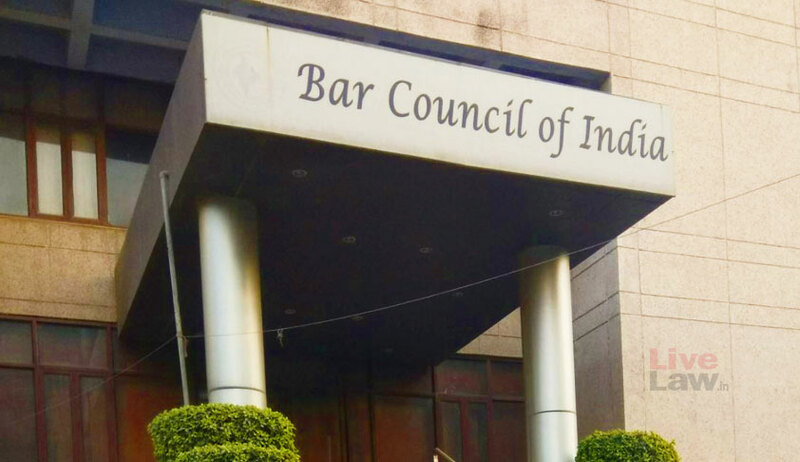 The Supreme Court has asked the Bar Council of India to reconsider enrollment of Jalpa Pradeepbhai Desai, who was not allowed to enroll as an Advocate due to her association with Gujarat Industrial Development Corporation as Legal Consultant. “It appears to us, Prima facie, without expressing any final opinion that the matter of enrolment of the petitioner requires reconsideration by the Bar Council of India inasmuch as the petitioner is not a full-time salaried employee of the Gujarat Industrial Development Corporation (GIDC). She is functioning as a legal expert perhaps as a Consultant or a Retainer. Some clauses in her agreement with the GIDC provide for her taking leave and so on, but if the entire document and the arrangement is considered in a holistic manner, it is possible to arrive at a different conclusion.”, the Bench of Justice Madan B. Lokur and Justice Deepak Gupta said while considering her appeal against the Gujarat High Court order. The Court has directed the Bar Council to take a decision within eight weeks and posted the matter on 11th July 2018. Jalpa Pradeepbhai Desai was not allowed to enroll as an Advocate due to her association with Gujarat Industrial Development Corporation as Legal Consultant. The said decision was challenged by her before the Gujarat High Court contending that contractual arrangement of her service with the Gujarat Industrial Development Corporation cannot be viewed as employees and that there is no employee-employer relationship. Although the single bench granted her interim relief directing the Bar Council of Gujarat to grant her a temporary enrollment number, the Division Bench set aside the order holding that under the scheme of the Advocates Act, 1961 and the rules framed thereunder there is no provision for grant of temporary certificate by the Bar Council for practicing as an advocate. Later the High Court held that a law graduate working as a Legal Consultant with a Corporation with a contract in the nature of a full-time job is not eligible for enrollment as a lawyer to practice law. Against these orders, she had approached the Apex Court. “Looking at Rule 49 of the Bar Council Rules, it provides that an advocate shall not be a full-time salaried employee. The conditions attached to the contract of service of the petitioner with the Corporation are reflective of the nature of the employment. The employment envisages that services are required to be rendered during the standard hours of service as per condition No.2. Condition Nos.9 and 7 show that service as legal assistant rendered by the petitioner is a full-time job and attaches with it monthly payable amount of Rs.25,000/-. The petitioner joined the Corporation in the year 2012 and the contract has continued having been renewed on year-to-year basis till date”. “From the totality of operation of the facts and considering the nature of the service contract of the petitioner with the Corporation, there is no gainsaying that the petitioner incurs debility in terms of Rule 49 as her employment could be characterised as a full-time salaried employment. As a result, refusal by the respondents to grant the petitioner enrollment and the certificate to practice law could be said to be eminently proper and legal”.